The Newark Debate Academy, (NDA) is one of Victoria Foundation's long-standing grantees, focuses on pushing Newark students toward academic excellence by honing skills in reading, writing and public speaking—three skills that are necessary for college and career readiness in 2018. It has been my pleasure to serve as the program officer for this grantee over my two years with Victoria Foundation. The first time I visited NDA, I knew this was a special organization. I met its Executive Director, Carlos Astacio, who is an alumnus of the program. His passion for Newark youth immediately shined through as we observed and met Newark debaters during their summer institute at the Frost Valley YMCA camp. intentionally created a safe and caring family atmosphere to support students beyond its day to day activities. This is the reason why Newark debaters excel at the art of debate and the same reason why its students almost without exception go to college. NDA uses mentorship as a strategy to foster a community atmosphere, and it utilizes the expertise of college students to invest in the development of its younger students. Every year NDA hosts a Championship Public Debate Tour at local Newark middle schools and high schools. During the tour, groups including both college and high school debaters are cross-examined by other NDA students. 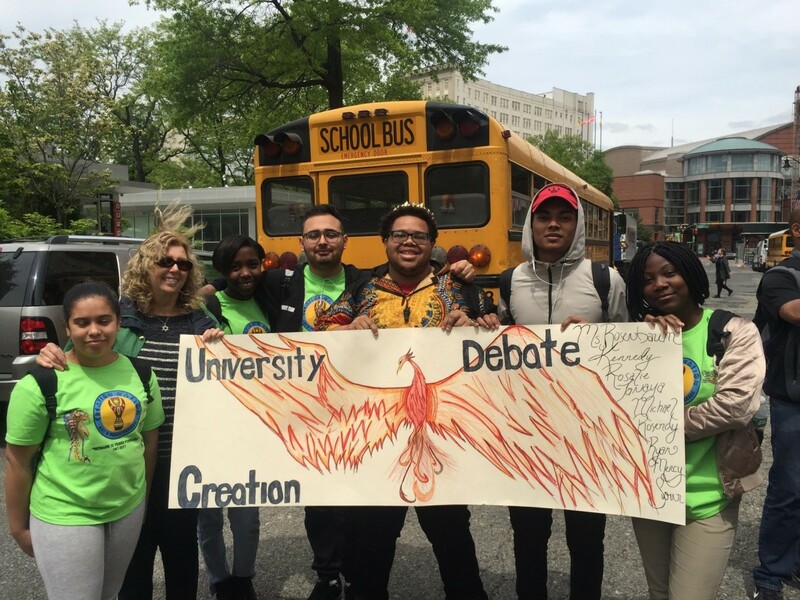 As a champion of peer mentorship, I was impressed that the Rutgers-Newark Debate team students led the Newark Debate Academy's elementary, middle school, and high school debaters in the 2017 Creation Day Parade to kick off the Championship Public Debate Tour. Both NDA's high school and college students have an impressive track record of wins for tournaments and scholarship awards. In 2017, the Rutgers University-Newark debate team became the 2017 national collegiate debate champions. Rutgers faced top teams from prestigious universities and came out on top. More recently, NDA has broken existing records by winning both the National Debate Tournament and the Cross-Examination Debate Association National Champions. NDA students keep on making Newark proud!